The Cabinet Secretary for ICT Fred Matiang’i today has applauded the effort made by tech start ups in creating innovative solutions. This is yet another move that shows the confidence in incubator Nailab’s efforts of bridging the gap between ideas and money making companies that will spur growth in the ICT sector. Speaking at the Nailab start up demo today, Dr. Matiang’i said that the start ups are the way to go for cash generation not only at the private sector level but also at the public sector level. “Everyone is stuck on Mpesa. But there are a thousand new innovations out there. One of the greatest resources we have is the brain trust in our young people.” said Matiang’i. Furthermore, a new policy is in the works to enable start ups participate in government ICT contracts as opposed to the current bias given to foreign companies. The start ups that demoed today at Nailab include SwapKitabu, Demo, GoKibali, KejaHunt, CladLight, Gigwapi, and Sokotext. SwapKitabu is as social enterprise that seeks to bridge the gap of inadequate textbooks, making them more accessible and affordable especially in the rural areas. DumaWorks is Africa’s first social network. DumaWorks represents a community for people to find jobs, hire employees, refer friends, and grow professionally- online or through their mobile phones. GoKibali is the future of permit and license application in Kenya. It is a system that saves you precious time, money by enabling users to apply for Government and County Licenses from the comfort of your home, office or their nearest computer. KejaHunt is an online property listing platform that helps you find a house and a room-mate from the comfort of your computer or mobile phone. KejaHunt makes finding a home or a roommate easy, credible and convenient. CladLight seeks to reduce motorcycle accidents by increasing visibility of the motorcyclist using a Smart Jacket. The Smart Jacket is a reflector jacket fitted with lights controlled wirelessly from the motorcycle indication system. Gigwapi is an online event listing service that helps users find events in line with their social, professional and other personal interests. They also help drive traffic and ticket and ticket sales to events. Sokotext is a social enterprise that uses the power of text messaging to make it easier for small fruit and vegetable sellers based in slums get their daily stock of fresh food. Nailab is a Kenyan-based technology incubator that aims to lower the entry barriers for ICT entrepreneurs who want to implement and scale their businesses. 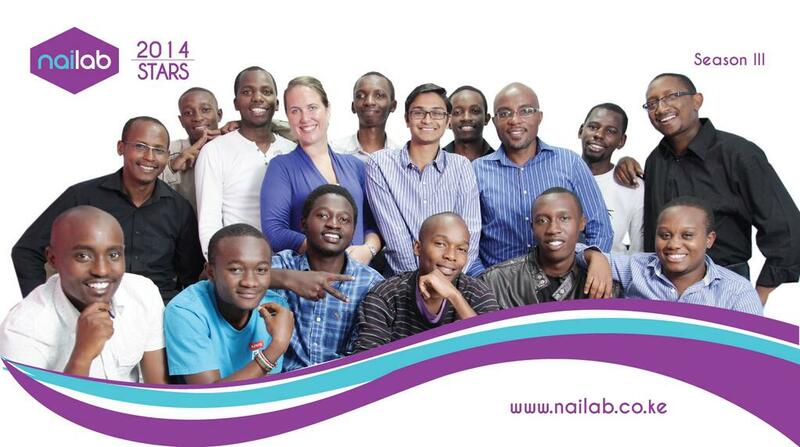 The ICT cabinet secretary pledged to triple funding to the Nailab incubator from Sh. 1.6m to 4.8 million to continue to spur growth and innovation amongst the Small and Medium Enterprises. [UPDATE] The correct figure is USD 4.8 million up from USD 1.6 million and not the same figure in Kenya Shillings. Hi, nice story, great startups. Is it Kshs 500 million or Kshs 4.8 million? Two confusing figures in the headline and last paragraph. Sorry, updated to reflect the right figures.